Quick Fix Proposals are available for the problems indicated with a light-bulb on the left vertical bar of the editor. 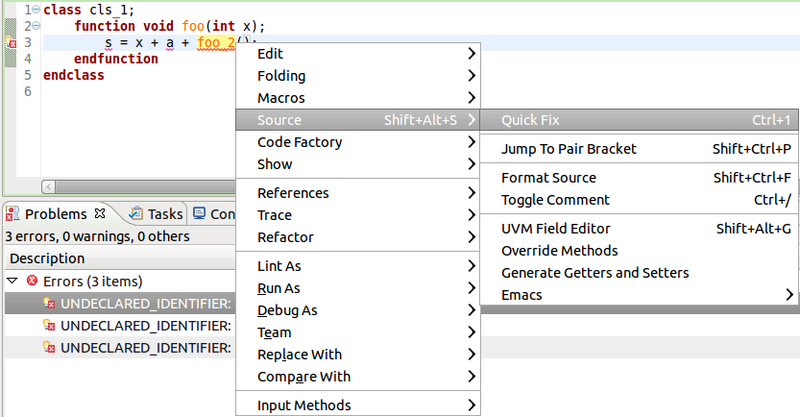 Place the editor cursor on the problem's line and press Ctrl + 1, or right-click and select Source > Quick Fix from the context menu. The available quick fix proposals are shown in a pop-up list. Use the Up and Down arrows to select a quick fix, then press Enter to apply it. 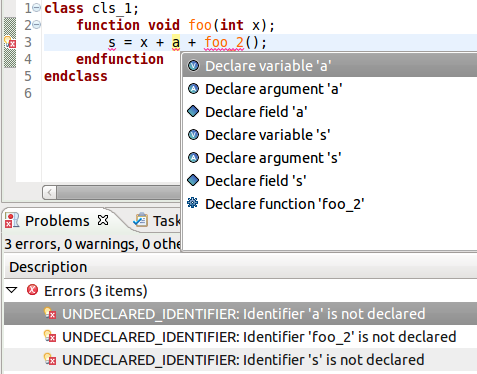 Tip: When there are more problems reported on the same line, the list aggregates all proposals. If you place the editor cursor inside a problem's highlight range (squiggle underline) the proposals for that particular problem are shown first. 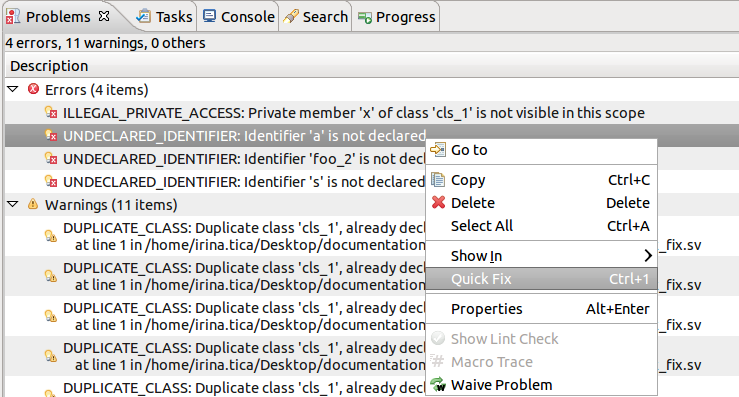 Tip: You can also right-click on an entry in the Problems View and select Quick Fix from the context menu.